It’s way too late to start my weekend recap post, so I’ll leave you guys hanging with this teaser photo. 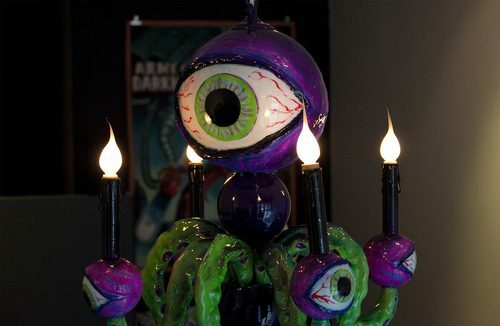 Adam Wallacavage designs and fabricates octopus chandeliers. He’s based out of Philly and has cranked out custom fixtures for each of Mishka‘s retail locations; 350 Broadway in Brooklyn and more recently, LA’s Echo Park store. I’ve got a ton of photos of the Echo Park store’s chandelier and I’ll work on that post tomorrow. This thing is rediculous!